Pinterest is a sizable platform to reach desired audiences: With more than 150 million Pinners, Pinterest can help you reach in-demand audiences. 54% of women aged 34-55 are on Pinterest—35% of them have a household income over $100K. Men and Hispanics are both joining Pinterest in higher numbers, too. Male monthly users have grown 120% this year. Because Pins last forever, your quality content has a longer shelf life. Feeds drive other digital channels, which means recent content reigns supreme. 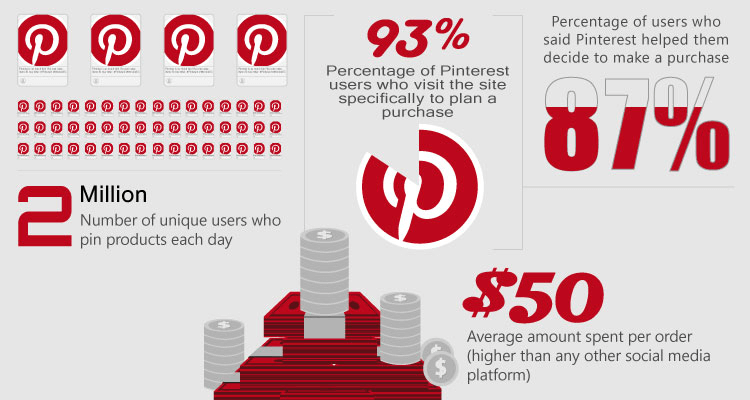 Two-thirds of the content saved to Pinterest comes from businesses. And that isn’t just coincidence. According to research from Ahalogy, Pinners are eager to connect with brands. When asked who they would rather follow—their favorite brand/store or celebrity—83% of people said they would prefer to follow the former. This preference was true in a lot of retail categories, too: 73% of people said they would rather follow their favorite brand of beauty products than their favorite makeup artist, 67% said they would prefer to follow their favorite brand of baby products than their favorite baby expert and 70% said they would rather follow their favorite brand of hair care products than their favorite stylist. 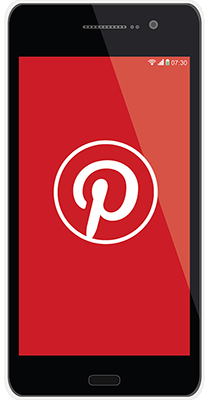 Let us manage your Pinterest and give you monthly analytics to show you real results.